It’s 25 years since Mikhail Gorbachev introduced the USSR and the world to perestroika, or restructuring. His attempt to breathe fresh air into a stale system which later fell apart, still draws an ambiguous response from Russians today. People debate the successes and failures of the concept to this day. Was it pushed through by KGB leader Yury Andropov, created to give the security services more power under the guise of democracy? 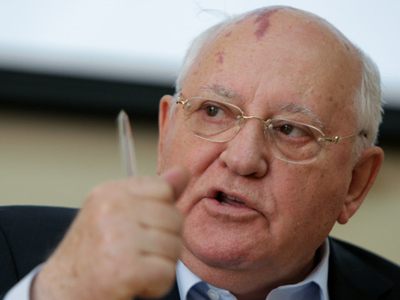 Was it Gorbachev's democratic ideas and hopes of a better future that led to the change? There are plenty of theories, ranging from idealistic to downright conspiratorial, and the only thing most people will agree on is that the introduction of perestroika and glasnost were last-gasp measures to prevent the collapse of the already disintegrating Soviet Union. Admittedly, its demise was inevitable. The Cold War and the stifling foreign and domestic policies were taking their toll on the country's economy. Reforms were greatly needed, and many had high hopes for Gorbachev's ideas, not least because he was unlike any Soviet leader before him. He was the first in Soviet history to admit the inadequate living standards in the country, and the slowing down of economic development. Democratic elections were another Gorbachev introduction. 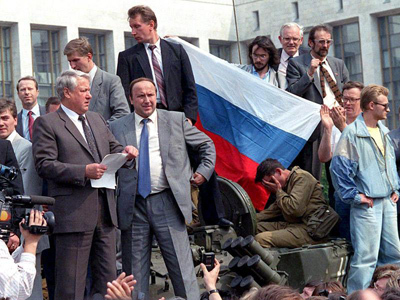 His changes were most evidently seen by March 1989 when, for the first time in the history of modern Russia, competitive elections took place, and the Soviet people enthusiastically voted for a new Congress. 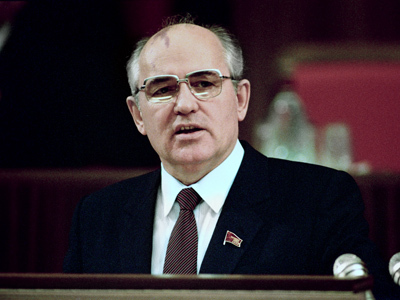 Gorbachev brought perestroika to the Soviet Union's foreign economic sector with measures that the country's economists considered bold at that time. His program virtually eliminated the monopoly that the Ministry of Foreign Trade had once held on most trade operations. It permitted the ministries of the various industrial and agricultural branches to conduct foreign trade in sectors under their responsibility rather than having to operate indirectly through the bureaucracy of trade ministry organizations. In addition, regional and local organizations and individual state enterprises were permitted to conduct foreign trade. The changes to foreign policy were among the most productive steps Gorbachev took. They included improving relations with the US, adapting a policy of non-intervention in Central and Eastern Europe and talking about nuclear non-proliferation with his American counterpart. According to the man himself, they were not easy steps – but they were possible because perestroika had already begun. The move also allowed private business ownership, something that hadn't been allowed in decades. Together with the idea of glasnost, or openness, which shone a light on the country's problems and allowed greater media freedom, the two words and the ideas behind them captured the hearts and minds of millions of Soviet people. But the reality of those changes were, perhaps, a little disappointing. What most people remember about those days, after the excitement of the planned changes died down, are the empty shelves in food stores, the day-long queues for a little butter, some sugar or cheap and not very fresh fish. 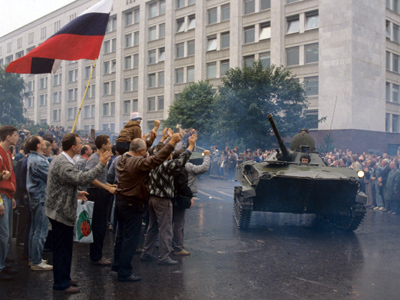 Many argued that Gorbachev's reforms were too slow, too mild, that more radical measures were needed to lift the country out of its economic slump. As Time Magazine wrote at the time, Gorbachev's promises were "good talk with no goods." Gorbachev, by his own admission at the now famous "January plenum" knew exactly how difficult the perestroika process would be. In his address to the Central Committee of the Communist Party of the Soviet Union he said "the more we delve into the work connected to perestroika, the more clearly we see its magnitude and the problems that we face, both new and inherited from the past." However, by the end of the 1980s it was clear that economic reforms in a socialist framework had failed. The introduction of certain market elements did not bear much fruit, and the state budget for 1989 was a deficit one, for the first time in years. In the next year, a decision to move to a full-fledged market economy was made, but even that did not help. In 1991 prices increased twofold, production dropped by 11 per cent and the country amassed a massive foreign debt, going from $25 million in 1985 to $103.9 million in 1991. The then Soviet leader to this day believes that the process he initiated led to many internationally significant events, including the end of the Cold War, the fall of the Iron Curtain and the Berlin Wall and the reunification of Germany. But while many agree, and praise Gorbachev for his democratic innovations, others believe he was responsible for the hard times that held sway over the country for years, and eventually led to the collapse of the Soviet Union.